Granular Activated Charcoal made from coconut shell, used primarily in AIR & VAPOR FILTERS for eliminating odors and toxic vapors. It can also be placed in free-flow containers to adsorb offensive or poisonous odors. 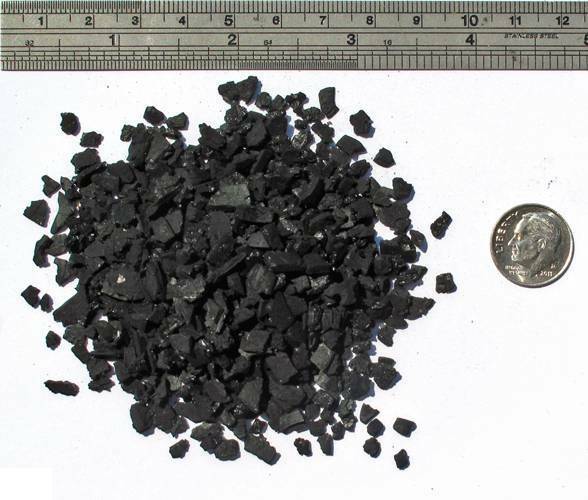 Granular Activated Charcoal (GAC) made from coconut shell. This hard, highly adsoptive charcoal is used primarily in air and vapor filters for eliminating odors and toxic vapors. Granular activated charcoal can also be placed in free-flow containers to adsorb offensive or poisonous odors in confined areas. Our GAC48C is a granular activated carbon charcoal produced from coconut shell by a high temperature activation process under stringent quality control. It has a large surface area, high mechanical hardness, high pore volume and chemical stability. This grade works well for air and vapor filter applications.